SHOCKING vision has emerged from Indonesia showing the moment a massive wall of water swept away a rock band while they performed on stage. The group Seventeen was in the middle of a concert at a utility company's end-of-year celebrations when the five-metre tsunami hit. At least 168 people have been killed and another 745 injured, with widespread destruction across the Sunda Strait region. 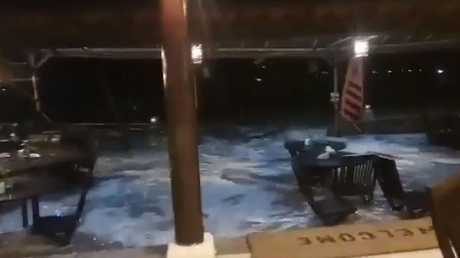 Initial indications are that the tsunami was triggered by an undersea landslide, caused by the eruption of Krakatoa volcano late on Saturday night local time. 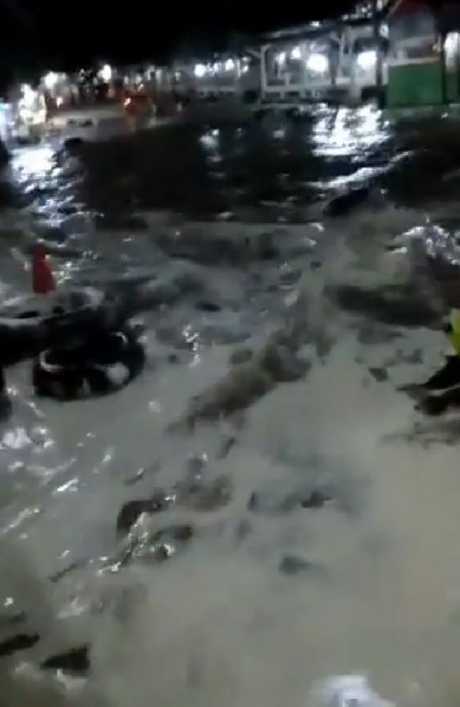 In videos shared on social media, Seventeen can be seen dancing around on a stage with a crowd of fans looking on, before the band and their equipment are washed away. In a statement issued on behalf of the group, it was confirmed that their bassist and manager had been killed, and indicated others were missing. 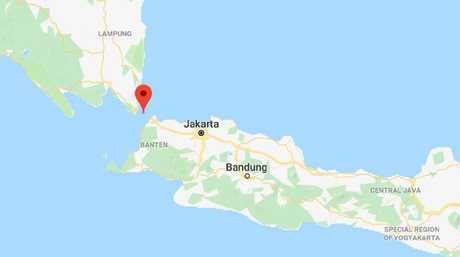 According to The Times of India, about 250 employees of the company PLN were gathered near the beach at Tanjung Lesung, with the stage set up on the sand. "The water washed away the stage … the water rose and dragged away everyone at the location," the statement said. The official death toll sits at 168, with victims spread throughout the Pandeglang, South Lampung and Serang regions, but officials warn that number could rise as search and rescue operations expand. 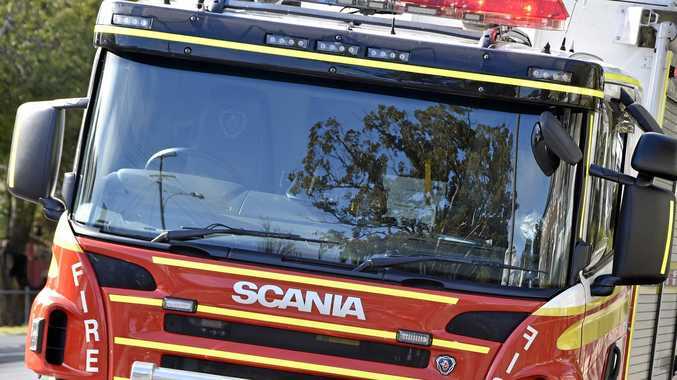 Initial indications are that a five-metre wall of water washed at least 20 metres inland across the stretch of coast. Daylight has revealed the extent of the destruction, including hundreds of significantly damaged homes and dozens of hotels and other buildings also impacted. Indonesia's Disaster Mitigation Agency said several hundred people were injured and at least 30 are believed to be missing. A tsunami has hit the Sunda Strait region of Indonesia. "We understand that at present there are no foreigners, let alone Australians, who have been impacted by this," Prime Minister Scott Morrison told reporters on Sunday. "This comes on top of what had happened in Sulawesi and so as always, we're available to support the Indonesian government with these things, as requested. "There have been no such requests. I'm not anticipating any on this occasion. But should they present, then obviously we will work with the Indonesian government as they request." In an interview with BBC World News, Mr Anderson said he saw two waves - one smaller one, followed by a much larger wave - smash into the coast. Vision shows a tsunami swamping the Indonesian coastline. 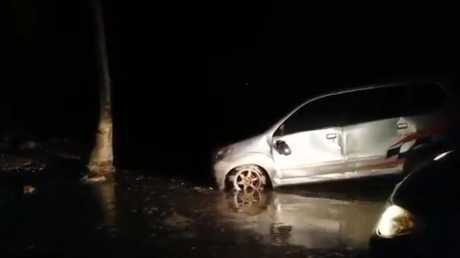 Social media vision shows cars strewn after the tsunami.